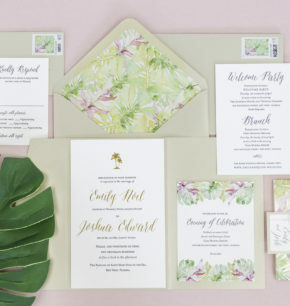 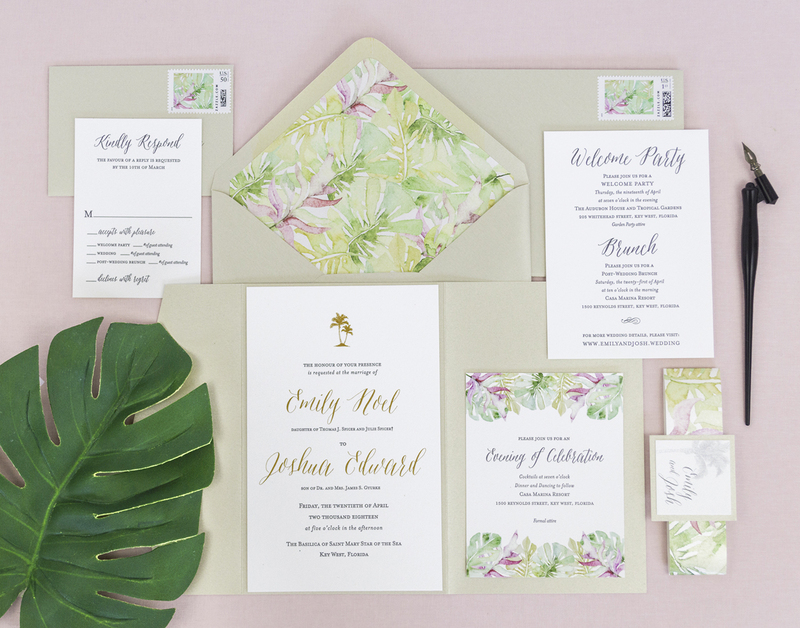 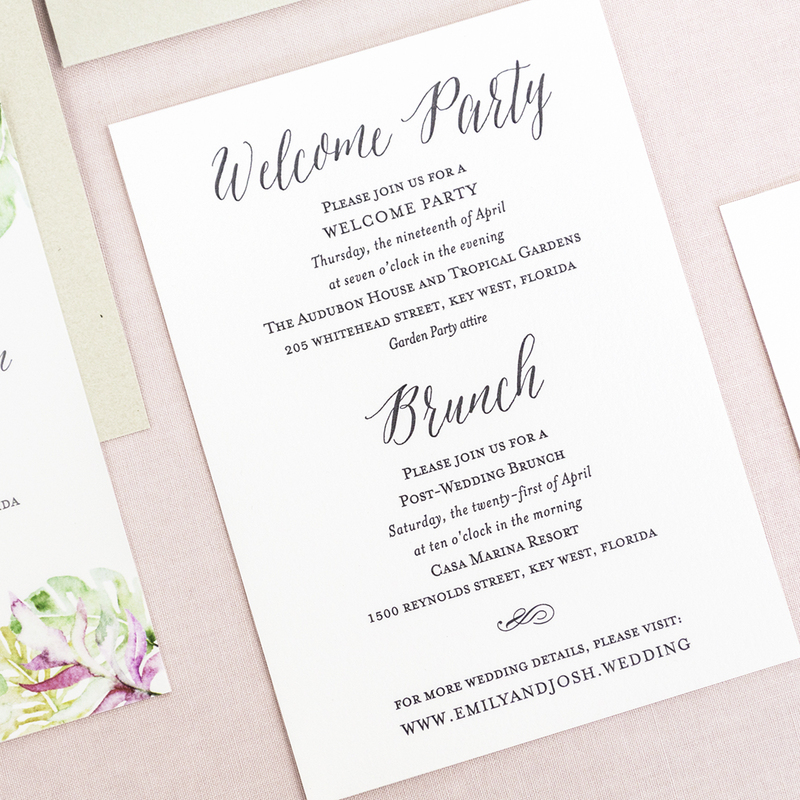 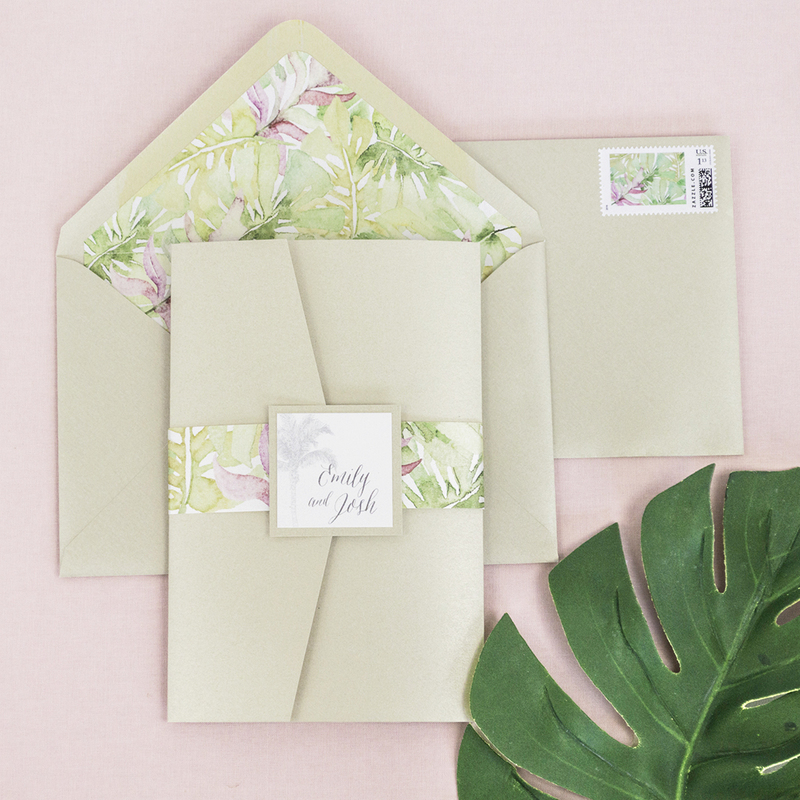 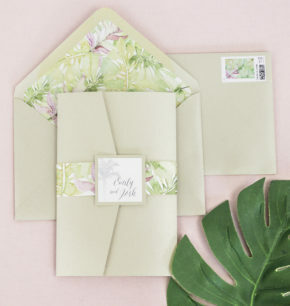 The Panama invitation suite is the perfect balance of a traditional feel with a bit of tropical touch. 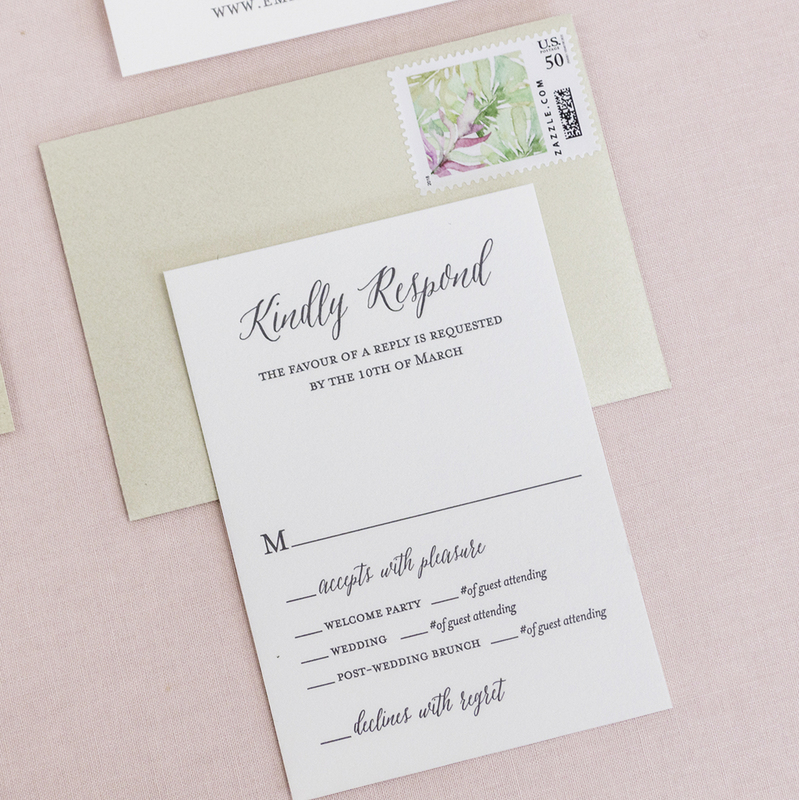 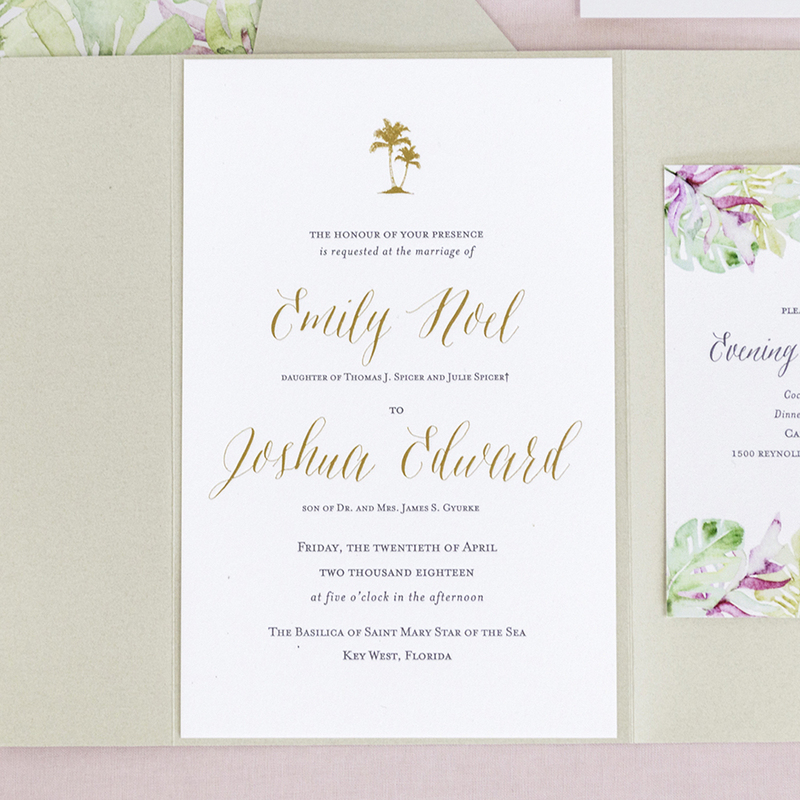 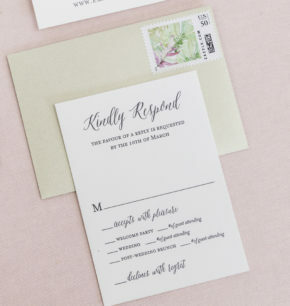 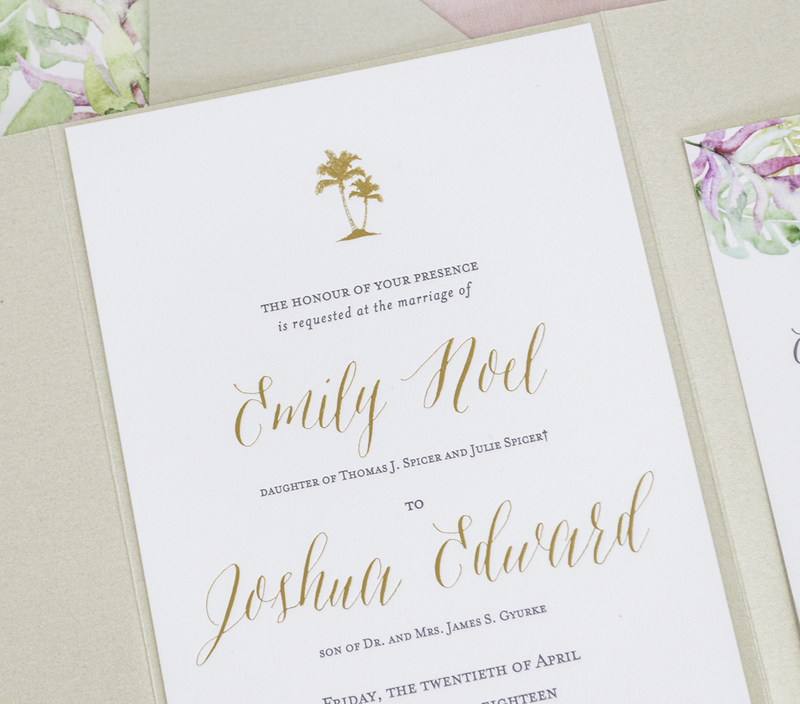 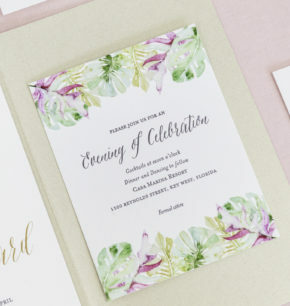 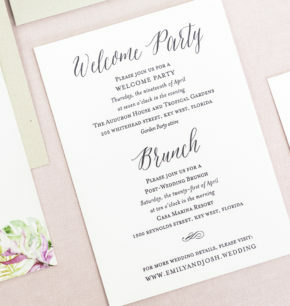 Hand drawn palms adorn the top of this invitation suite. 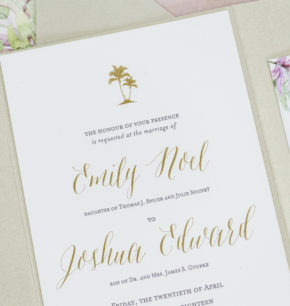 Palms can be replaced with any hand drawn icon you want (ie. 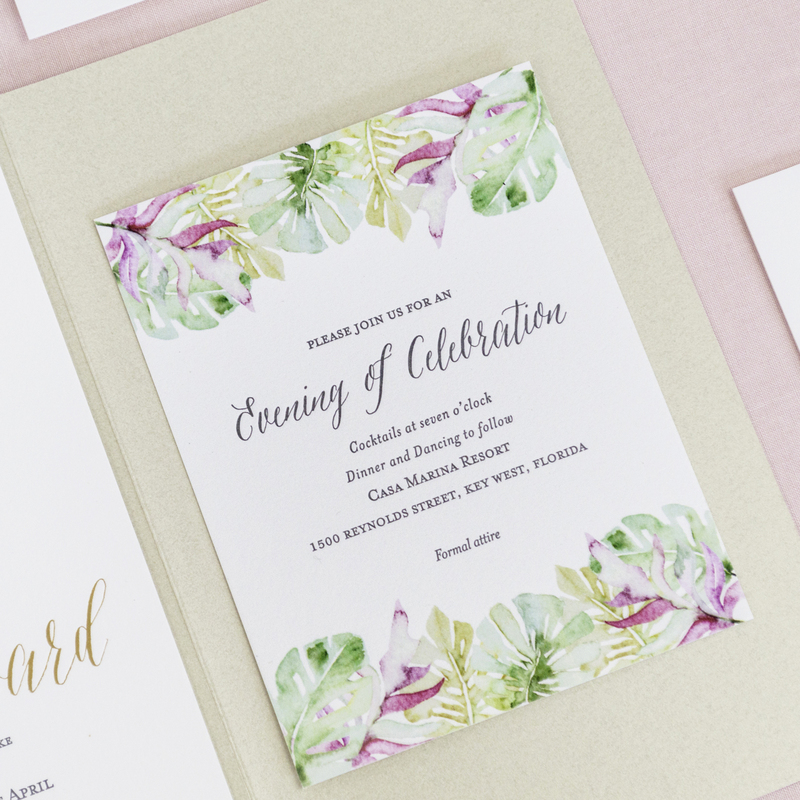 sand dollar, starfish, oyster shell, etc).